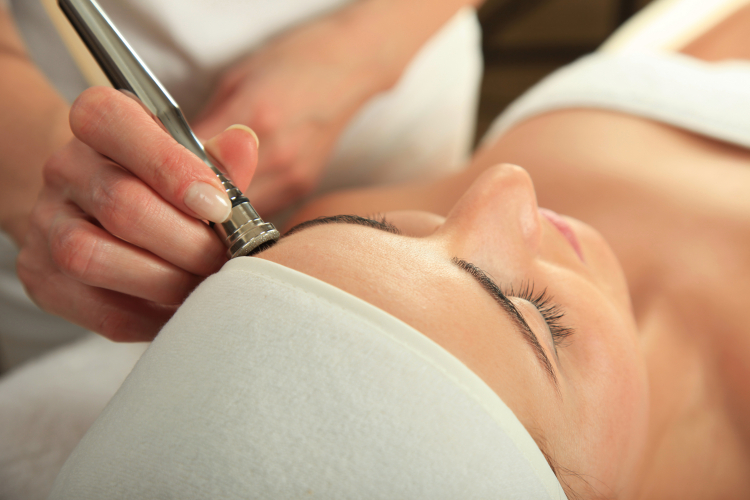 Microdermabrasion is a non-surgical exfoliating treatment that can improve your skin tone and texture. The treatments are effective on all skin types who have mild to moderate skin concerns, except the super sensitive and those suffering from skin disorders such as rosacea and active inflamed acne. Fine lines, wrinkles and the appearance of acne scars and hyperpigmentation are greatly reduced. There is no down time involved with this treatment and proper use of moisturizer for your skin type and sunscreen is highly recommended. Sessions are scheduled 2-3 weeks apart. Once results are achieved, maintenance care is done every 30-60 days. This treatment includes an initial consultation with skin analysis, micorderm treatment, enzyme therapy, custom masque, neck and shoulder massage, serums, moisturizers and sunscreen to rehydrate and protect your new skin. A series of 6 or more is highly recommended for best results. **NOTE: If you are experiencing hyperpigmentation problems (post inflammatory from acne, melasma, sun spots, etc.) it is HIGHLY RECOMMENDED that you purchase skin brightener that has kojic acid and alpha albutin which are safe hydroquinone alternatives as your home therapy to get maximum results. Relying on just microdermabrasion treatment visits alone is not enough.